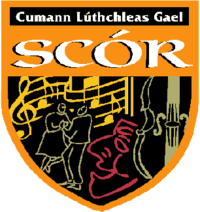 Last weekend “The Lee Strand” Sponsored Scor Na bPaisti County Semi Finals saw all nine District Boards take part at two separate venues; Presentation Secondary School, Castleisland for North of the County; (Saturday) and the Foilmore Community Centre; (Sunday) which was for South of the County. Both venues had huge attendances. Competition was of the highest standard and so well performed by these very talented National School Children from around the County and great credit is due to both their Tutors and Parents for the tremendous amount of work in preparation for this event. Certainly both Fear A Ti, P J Mulvihill “North” and Bean A Ti, Suzanne Ni Laoire “South” deserve special mention also for the way they kept everything running smoothly on the day. Two from each category from both venues have qualified for the County Finals which will go ahead in the Glenbeigh/Glencar G A A Sports Hall on Saturday April 6th commencing at 1 30pm with the County Finals of Trath Na gCeist getting underway at the earlier time of 11am.